Oktoberfest 2018 tours have now been released, and until this 31st August we are offering early bird deals on all package options, with up to €100 off per person available. Oktoberfest Packages – The most popular package options, with a range of 3-star hotel located just minutes from the festival ground. Use promo code BEERFEST2018 for €50 off per person. Full details here. Premium Oktoberfest Packages – The very best Oktoberfest tours in Munich at the best available 4.5-star hotel. Located just outside the main entrance of the festival, this hotel features sound-proofed rooms for the perfect sleep. 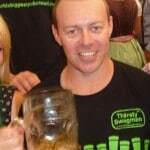 Use promo code BEERFEST20018 for €50 off per person. Full details here. 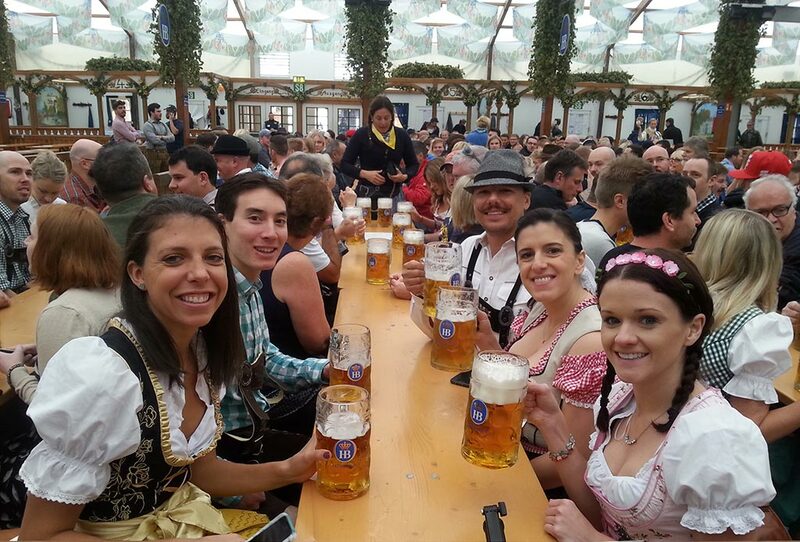 Beer or Bust tour – An amazing beer-cation to Oktoberfest, Prague, Rothenburg ob der Tauber and the Stuttgart Beer festival (the 2nd largest in the world after Oktoberfest). Limited to just 24 thirsty legends, this tour will book out 8 to 12 months in advance, so secure your spot now. Use promo code BEERORBUST2018 for €100 off per person. Full details here. These early bird deals are a great chance to save some extra cash for that amazing Bavarian beer and yummy Oktoberfest food – but make sure you book by August 31st this year to get them. Here’s a little preview of what to expect at the festival next year. 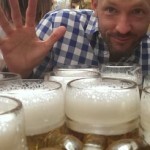 Now get training – Prost! The beer tents await you in 2018! Want to know a little more about next year’s festival? 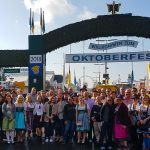 Find out all the details about Oktoberfest 2018 here.